Keep your electronics safe from power surges with this wall-mount surge protector. 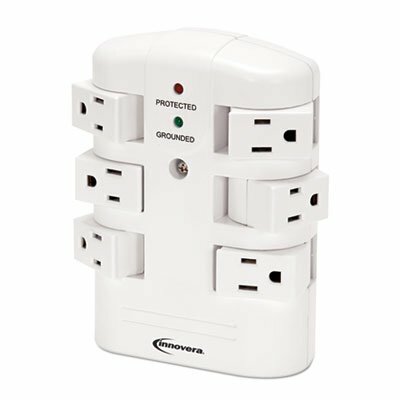 Six swivel outlets are easy to access. MOV surge mechanism is fire-resistant to provide additional protection in the event of an extreme surge. Wall mount design saves valuable floor space. Number of Outlets: 6; Joules Of Surge Protection: 2160 J; Lines: N/A; Multimedia Protection: N/A.